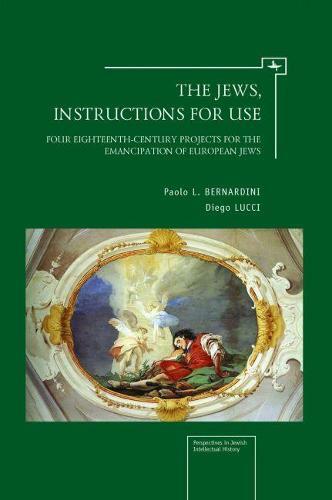 This book examines the four most important projects for Jewish emancipation in eighteenth-century Europe. The essays presented in this volume analyze the proposal advanced by the freethinker John Toland in 1714 and three projects of the 1780s, formulated by the state official Christian Wilhelm von Dohm in Frederick the Great's Prussia, the economist Count D'Arco in Mantua under Habsburg rule, and the Abbe Henri Gregoire in France on the eve of the Revolution. Focusing on the combination of humanitarian and utilitarian arguments and objectives in the proposals to redefine the legal and social status of the Jews, this book is a particularly useful resource for scholars and students interested in the history of Jewish-Gentile relations and the Age of Enlightenment.